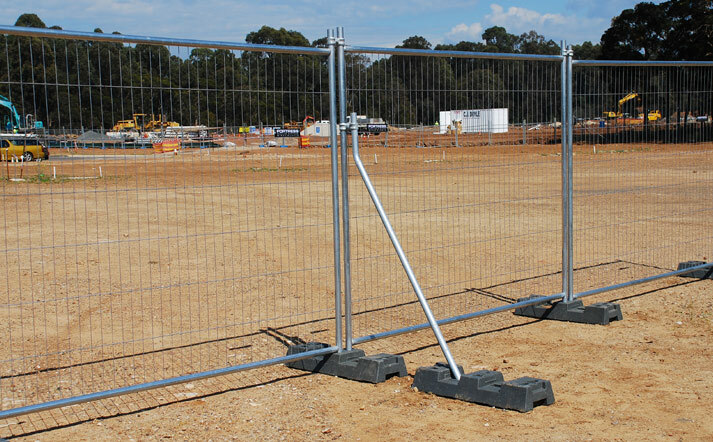 Bracing is an essential part of a sturdy temporary fencing system. Careful consideration for the quantity and strength of bracing required should be taken when assessing your area and the type of installation. Need a hand? Call us now for advice or for a free quote on 1800 809 809. Looking to promote your brand? Bracing is an essential part of a sturdy temporary fencing system. It adds an extra element of safety and stability, and ensures your fencing is well balanced and will not topple under light stress such as wind or workers leaning on the fence. 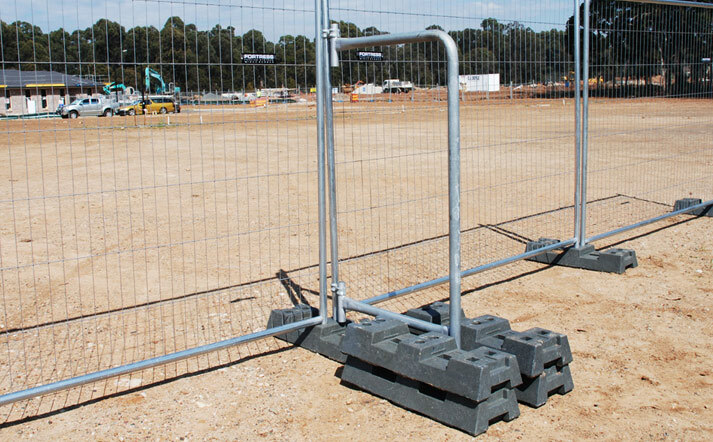 Fortress Fencing can provide specialist advice and assistance in calculating the kind of bracing you may need for your site, as well as the quantity. WHAT KIND OF BRACING DO I NEED? 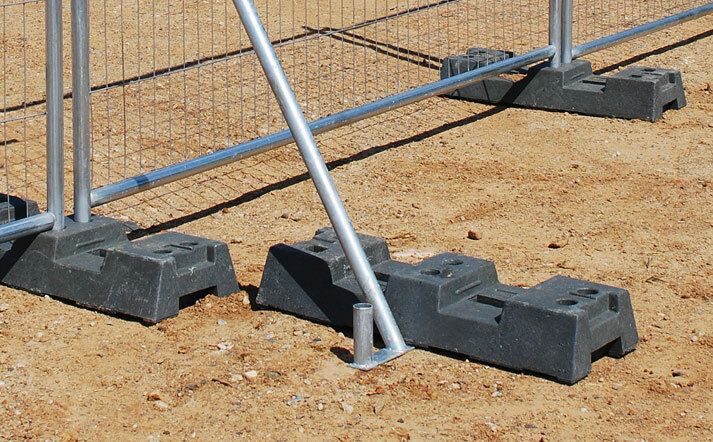 Some things to consider include the weather – if your site is located in a high wind area you may require a standard brace, or for extremely windy areas we suggest the use of an ‘F-frame’ brace. This will provide added stability and peace of mind at your site. Also, if you are utilising shadecloth, banner mesh or scrim, consider the additional weight of the mesh. Although it may not be extremely heavy, it can certainly add an unevenly distributed weight on one side of the fence. Additionally banner mesh or shadecloth can be created with slits or as an open weave product so as not to act as a sail, but wind may still have some minor effect on the mesh and in turn the stability of the fence. In these cases, we recommend a heavy duty brace or F-frame brace. In addition to wind and weather, the style of fence feet you choose has a bearing on the kind of bracing you will need. Styles of feet include Polyblok and concrete filled plastic feet. Before purchasing your bracing or stays, ensure they are compatible with any existing fence panels or feet you wish to use. This bracing is ideal for high wind areas with long, straight runs of fencing. Fortress Fencing recommends fitting one brace to every 3rd panel, or more in high wind areas. 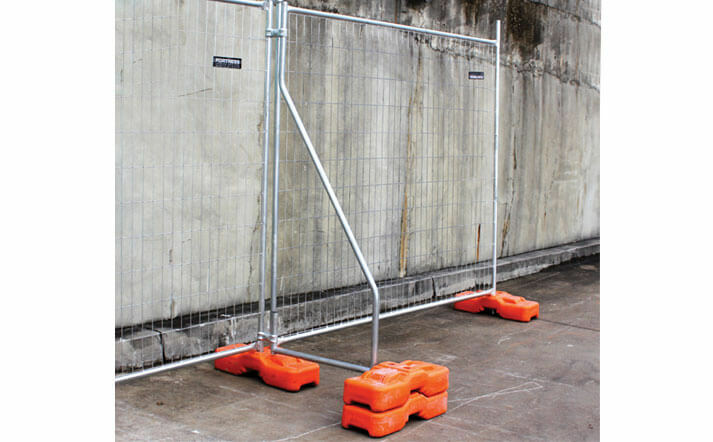 Standard bracing suits Fortress Fencing Polyblok feet, and Fortress Fencing Concrete fence feet. Heavy duty bracing is designed for applications where a privacy or banner mesh is used. Up to 4 feet can be used per brace. 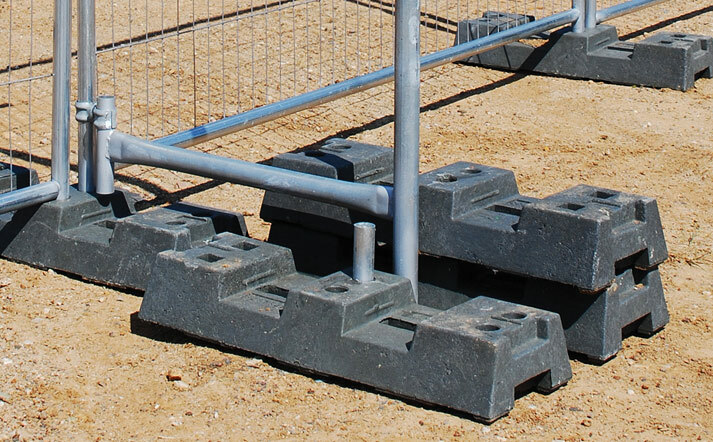 Heavy duty bracing suits Fortress Fencing Polyblok feet, and Fortress Fencing Concrete fence feet. The ‘F-Frame’ support frame is used instead of the standard brace where the fence is installed in an extreme wind area, or where shade cloth is installed. The F-Frame requires two heavy duty couplers (supplied), and can fit up to 4 feet. This heavy duty support is designed to support the 2000 series panels in high wind areas. The heavy duty 33mm brace requires two heavy duty couplers (supplied), and can fit up to 4 feet. For more information check out our installation guide and our article on how to brace your temp fencing.